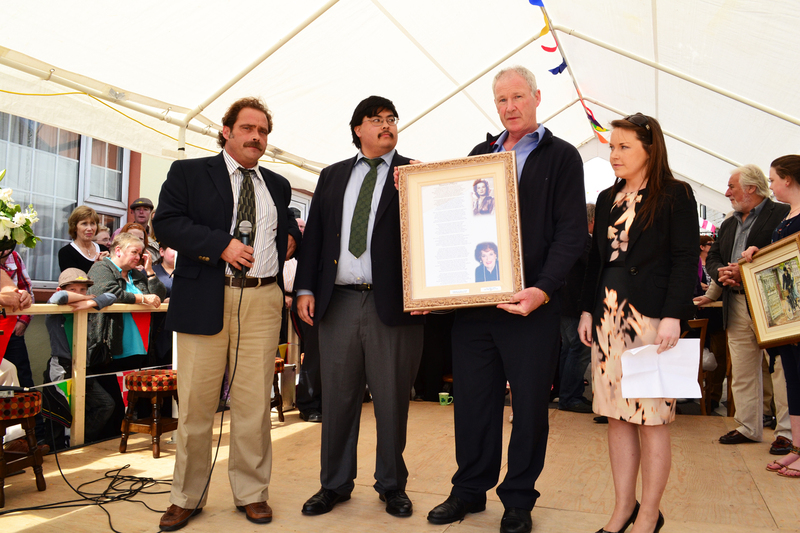 This is a picture taken at the launch of the Cong Festival in the summer of 2011. Two nephews of the legendary John Wayne were there for the occasion, also in the picture are myself and Lisa Collins (who read out my verse). 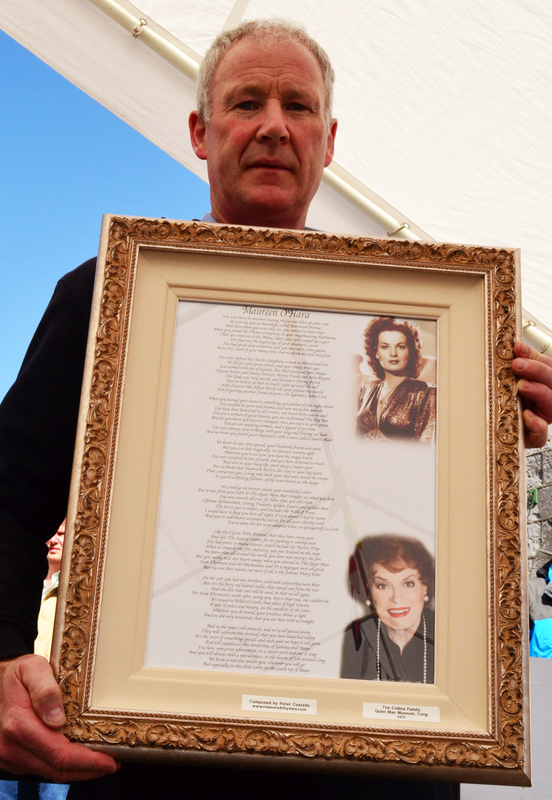 I was asked to write a verse on Maureen O Hara’s life, so that the Collins family of Cong could present it to her, when she performed the opening ceremony at the Cong Summer Festival. 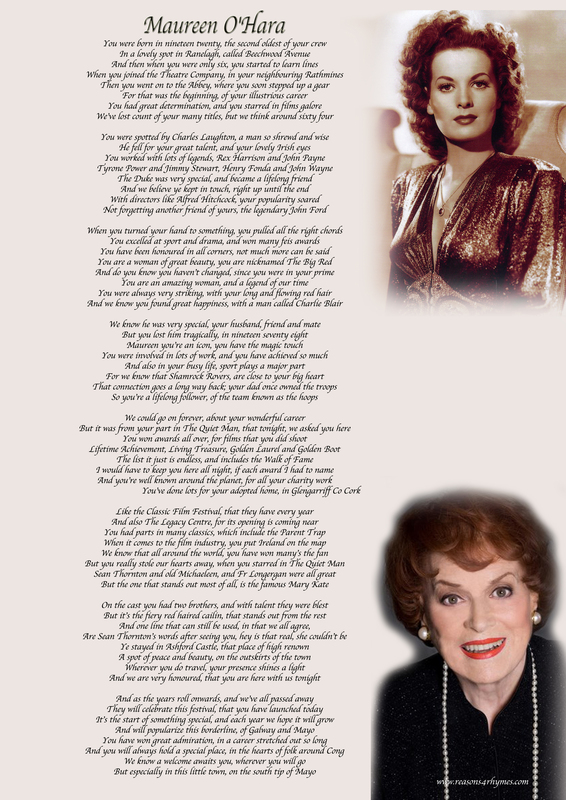 I done a little research and learned a lot about the fiery red head. I put the story together, with a picture of her in her young days, and also in her later years. I got it framed and it was presented to her. She was very impressed to say the least.